Skill Level: Beginner/intermediate—previous experience with off-loom bead weaving is necessary. 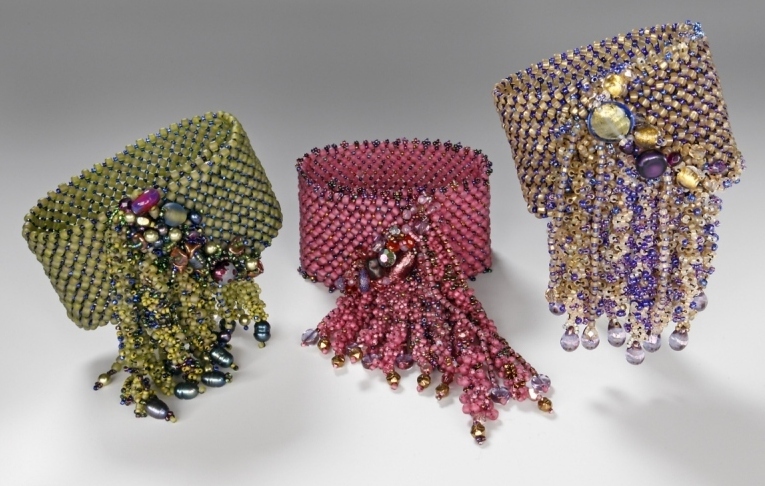 Beads for embellishing the diagonal edge of your bracelet. Note: You can use any size, shape, or type of embellishment beads such as fire polish, pearls, crystals, semiprecious stones, flowers, etc. Beading thread: 6 lb. test fireline or silamide size a.